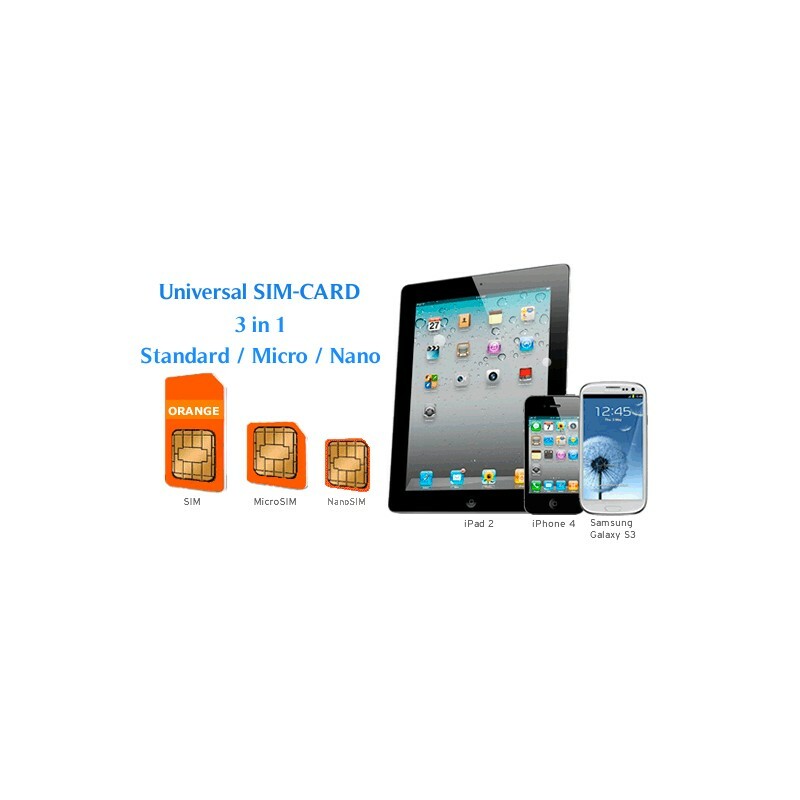 - Sim valid 12 months from lastrecharge! - Navigate and speak in all European Union, Iceland, Liechtenstein and Norway at the price of Spain! The plan benefits will be renewed every 30 days and we will inform you via text message. 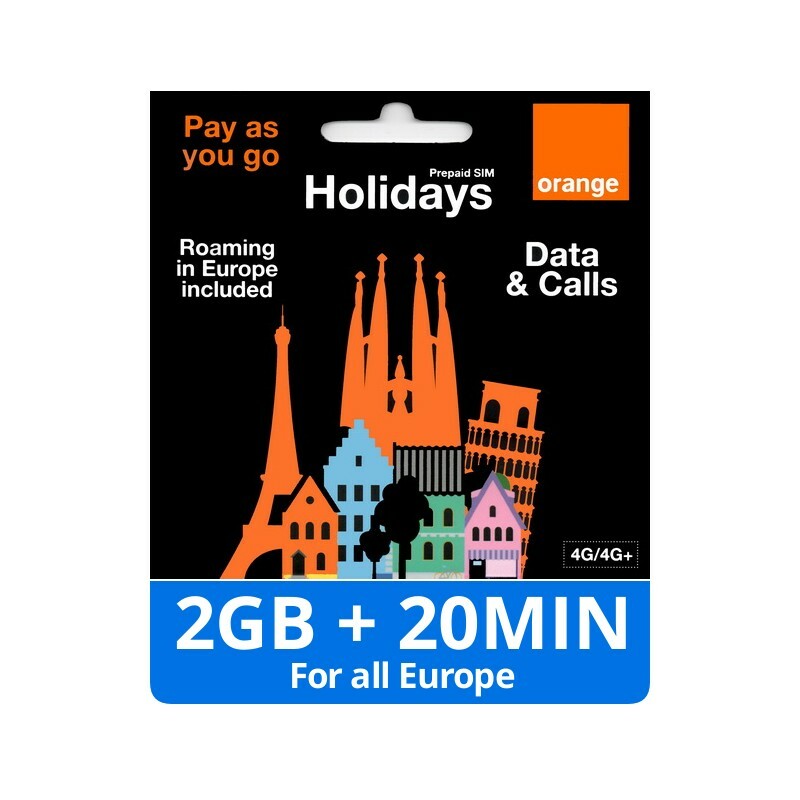 Now with the new SIM holidays, enjoy your smartphone while you visit Europe, Browse and talk at the best price from just 15€/ 2GB+20MIN / 30day (VAT included). Avoid surprises in your bill when you return home. SIM Holidays is a pay as you go plan, so that you can control exactly what you spend. Austria, Belgium, Bulgaria, Croatia, Cyprus, Czech Republic, Denmark, Estonia, Czech Republic, Finland, (including Aland Islands), France (including Martinique, Guadeloupe, Saint Martin, French Guiana, Reunion And Mayotte), Greece, Hungary, Ireland, Iceland, Italy, Latvia, Liechtenstein, Lithuania, Luxembourg, Malta, Netherlands, Norway, Poland, Portugal (including Madeira and Azores), United Kingdom (including Gibraltar), Czech Republic, Romania And Sweden. 2GB of date at 4G+ speed (up to 21,6 Mpbs). Once limit is exceeded, speed will be reduced to 16 kbps until the 30 days are finalised. 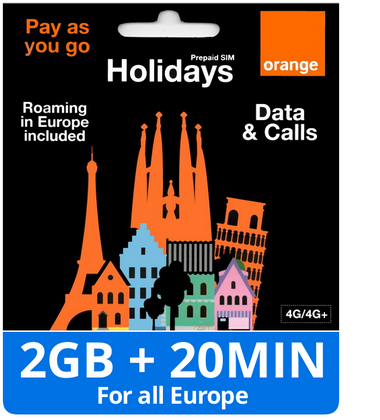 SIM Holidays Top-up: If you need more minutes or more data, just top-up 15€ and these will be renewed. Automatic renewal: For your convenience, the plan benefits will be renewed every 30 days and we will inform you via text message. What happens if I use the minutes or data included before the 30 days are over? Make sure you have a minimum of 15€ of credit. Spain, Germany, Argentina, Austria, Belgium, Bolivia, Brazil, Bulgaria, Canada, Chile, China, Cyprus, Colombia, Denmark, Ecuador, Finland, France, Gibraltar, Greece, Guadalupe, French Guyana, The Netherlands, Hong Kong, Hungary, Ireland, Iceland, Italy, Japan, Luxembourg, Martinique, Mexico, Norway, Paraguay, Peru, Poland, Portugal, Czech Republic, Dominican Republic, Reunion, Rumania, Sweden, Switzerland, United Kingdom, Uruguay, United States of America, Venezuela. The following destinations are excluded: special cost numbers (VAS, Premium, etc), Rural Chile, Easter Island Rusia Abkhazia, Globalstar. 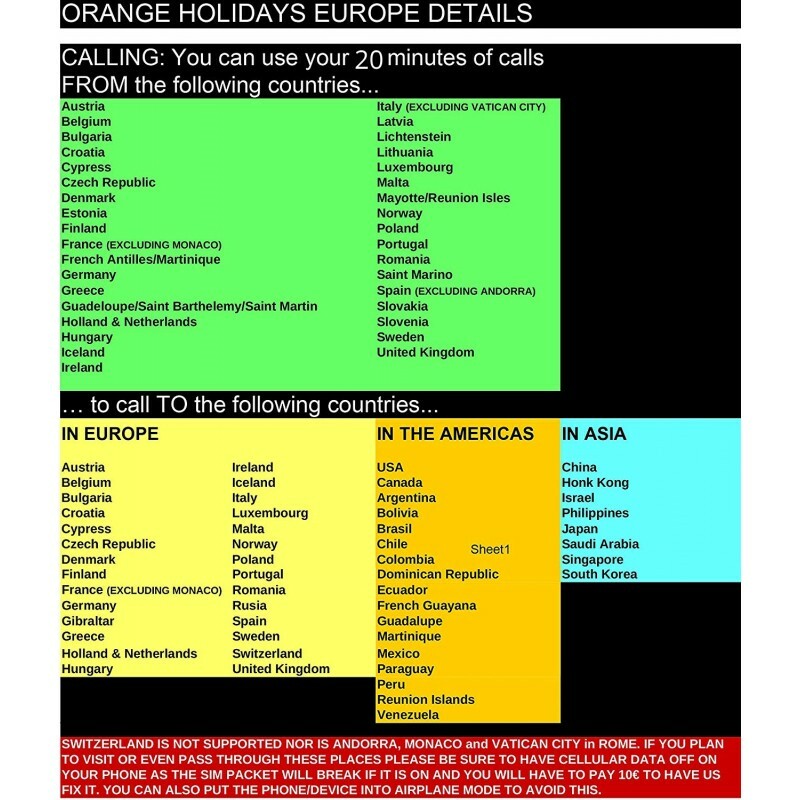 Calls between SIM holiday lines are free. These free calls are not subtracted from the minutes included in this plan. And, for your convenience, SIM Holidays is ready or you to talk and browse from the start, with no specific configurations required. In order to enjoy a pay as you go service in Spain, the law requires that the operator register the name, surname, documentation with identity information and nationality of the person that signs up to the line.